There were a few important reports on the U.S. economy released this morning. 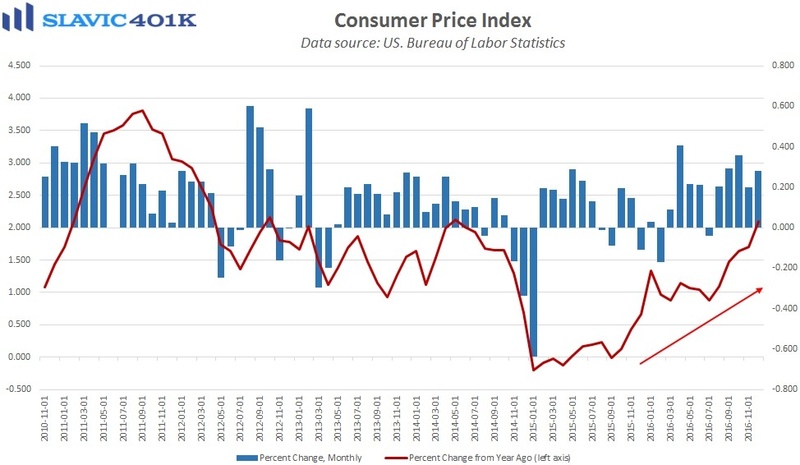 First, data from the Bureau of Labor Statistics (BLS) showed that household inflationary pressures firmed last month, with the consumer price index (CPI) for all urban consumers rising by 0.3 percent. 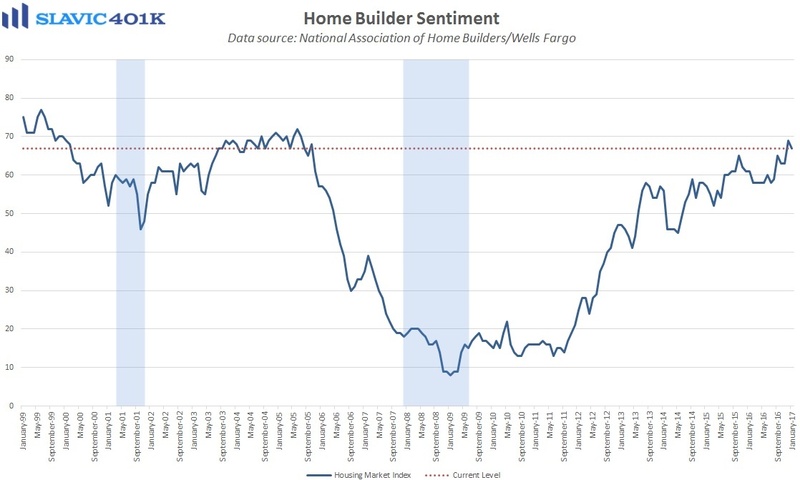 That was in line with expectations and the fifth monthly increase in a row. December’s solid gain was also enough to lift the annual rate of growth to 2.1 percent, the highest reading for headline CPI since May 2014. 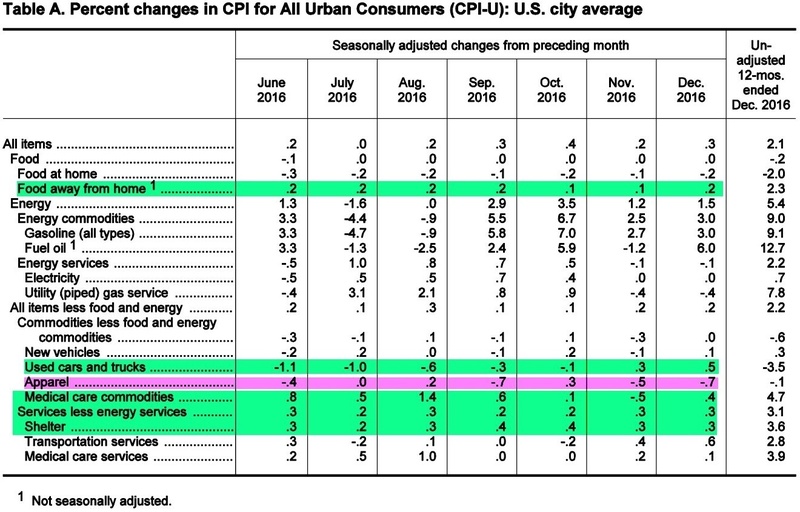 “Core” CPI, which excludes the volatile food and energy components, rose by 0.2 percent last month and 2.2 percent over the past year. 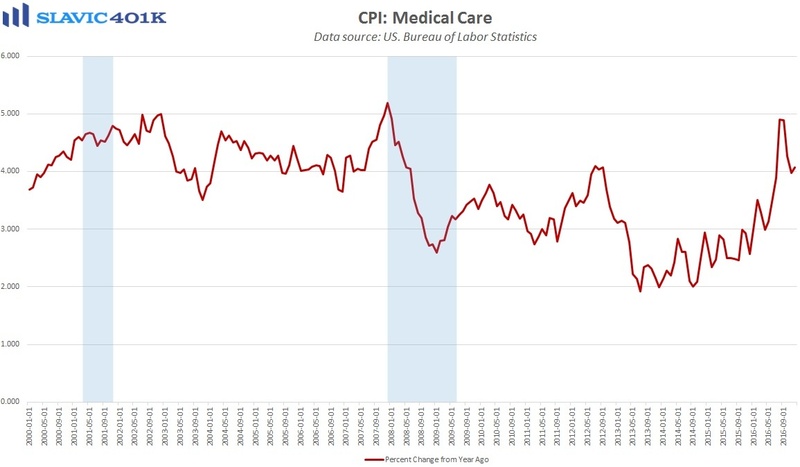 This shows that the uptick in consumer inflation is being driven by more than just the recent rebound in gasoline prices, with rising shelter costs (rent) and medical care expenses being major factors behind the broad gains. 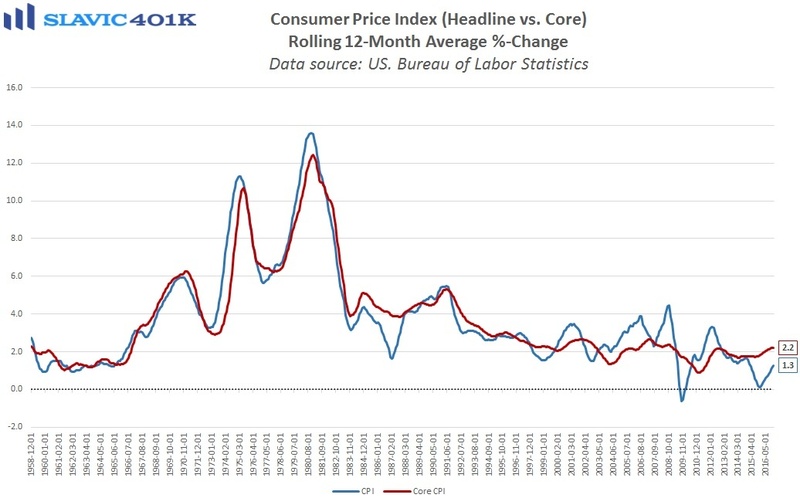 Moreover, firming inflation pressures have clearly weighed on Americans’ wages in real terms because inflation-adjusted average weekly earnings lifted by just 0.2 percent over the past twelve months, the weakest reading since June 2014. 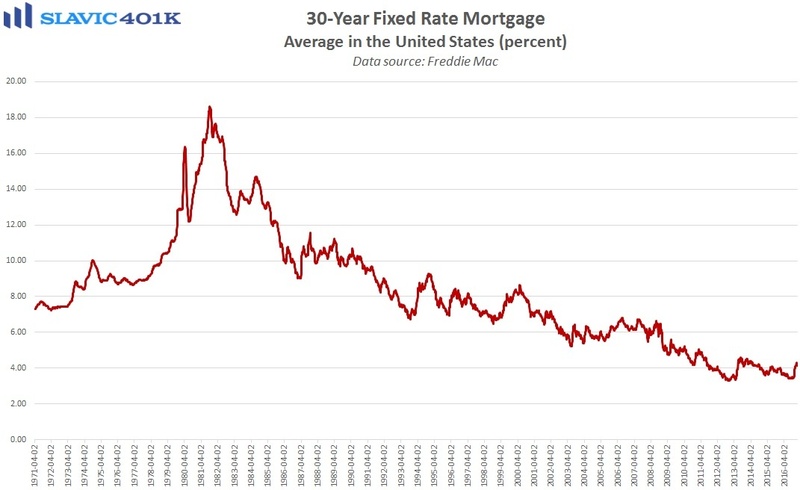 At the same time, the continued upward trend in inflation will make it easier for officials at the Federal Reserve to fulfill their forecast for three interest rate hikes in 2017. How exactly consumers will respond to such an environment remains to be seen. 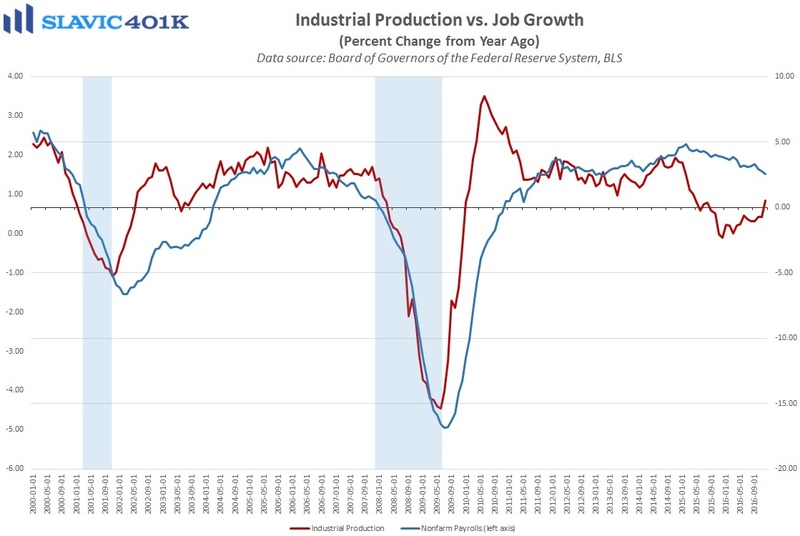 Next, a report from the Federal Reserve Board of Governors showed that industrial activity in America improved last month, with total production jumping by 0.8 percent. That was better than the 0.6 percent gain economists had anticipated and the largest monthly increase since November 2014. Under the hood, almost every measure of production rebounded last month, including a 6.6 percent surge in utilities related to the sudden drop in temperatures across the U.S. (greater heating demand). More importantly, overall U.S. industrial activity on a year-over-year basis rose by 0.5 percent in December, the first annual growth recorded since August 2015. 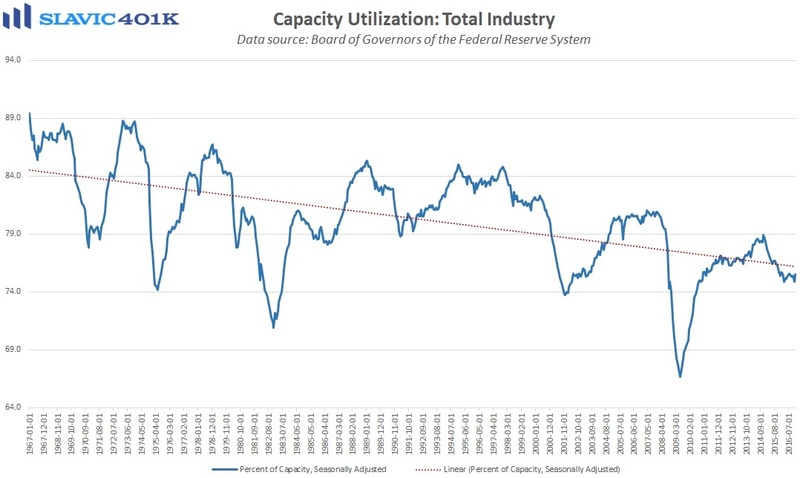 Manufacturing, which makes up roughly 75 percent of all industrial production, lifted by 0.2 percent last month, and capacity utilization, sometimes used as a leading indicator of inflation and potential output, rose to 75.5 percent last month, a 4-month high.